Welcome to the best Parker crossbow reviews. Here you’ll find a comparison of what we consider to be the finest three crossbows manufactured by Parker Bow: the Bushwacker 150, the Enforcer 160 and the Hornet Extreme. Parker has a good 12 or more crossbow models on the market right now, however we believe the following three provide the best “bang for your buck” factor. Draw Weight 150 lbs. 160 lbs. 165 lbs. Suggested Arrow Length 20" 20" 20"
Crossbow Length 33.5" 37.25" 34"
Crossbow Weight 7 lbs. 7.1 lbs. 7.5 lbs. What Do Parker Crossbows Have in Common? The draw weight is in the 150-160 lbs. range, though velocity (Feet Per Second) is around 300 FPS or higher. The FPS is calculated using 20″ arrows weighing a total of 400 grain (including insert and broad-head/field point). They make compound crossbows almost exclusively. Come with a limited life-time warranty. Except for the “Challenger” model, they come with multi-reticle scopes. They are relatively quiet where compound crossbows are concerned. 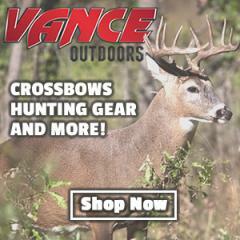 These are fine crossbows for both target shooters and hunters alike. Below are some of the most popular crossbow accessories manufactured by Parker Bows. The company’s most renowned model is the Parker Red Hot Crossbow case. Comes with an external pocket you can use to store your quiver and bolts. The design is black and red, with a padded interior – perfect for protecting your crossbow and scope during long bumpy car rides. The case can be carried using either the padded shoulder slings or a carry handle. For the quality you get, this is definitely one of the cheapest crossbow cases around. Since their crossbows are designed with 20″ projectiles in mind, expect all of Parker’s bolts to be 20 inch long. These bolts are exceptionally straight and in the same league as Barnett’s arrows where durability and precision are concerned. They come in a pack of 6 an usually you’ll need to order field points and/or broadheads separately. All of Parker’s arrows are made of carbon. and are made in the United States. Has a FOV (field of view) of over 50 feet at a distance of 100 yards. Take a moment to brows through some of Parker’s finest crossbow scopes. Parker is best known for its compound x-bow Sidewinder Crank, which is light-weight and very compact when compared to other crank aid devices on the market, though it’s not particularly cheap. You can of course get a regular rope cocking aid as well if you want. As you can see from our best Parker crossbow reviews, the majority of these x-bows are compound. Compared to recuves, compound crossbows are much more high-maintenance and there are more issues that can potentially arise. As a result, we strongly recommend against buying a used Parker x-bow, unless you are experienced enough with compounds to be able to assess the condition of the used weapon. Make sure you are able to personally inspect the crossbow before you pay for it as well. Both eBay and Craigslist contain a decent number of Parker crossbows for sale. If there’s a different Parker cross bow you’d like us to examine, or if you are having performance issues with any of your current x-bows, use the contact form or leave a message using the comments section below. We want this website to become the ultimate resource for crossbow shooters nationwide, and we could definitely use your help in achieving that honorary status. I shoot a Parker Thunderhawk that I purchased 2 years ago. Did a lot of research & felt it was a lot of bow for the buck. It is super accurate, have shot many other bows at twice the price, & still feel the Thunderhawk is lots of bow for the $$. The only negative is that it is a bit noisy, however the new ones come with silencers which mine does not have. I have harvested deer & wild hogs with it. I can hit coke cans all day long & 35to 40 yds. So I enjoy hunting with it & feel confident shooting game @ 30 yds. That’s my max range do to my old eyes @ 72. Furthermore, I believe anything past that range is not responsible hunting. I bought a parker terminator bow new from “Gods Country” sporting in Albemarle NC .They are no longer in business and I bought the bow seven or eight years ago. I was hunting and my left limb shattered .How and where do I go about getting it fixed? I have never owned a x-bow but I am looking to buy a used xbow. It is a Parker challenger. It’s a deal I almost can’t pass up. The bow itself is in very good condition. It is missing the cocking device and I’m not sure if it will fire correctly. Is there any thing you can tell me to help me with this. Also I read that there was a problem with the laminate on it. I want to get this for my grandson who has expressed an interest in a x-bow.